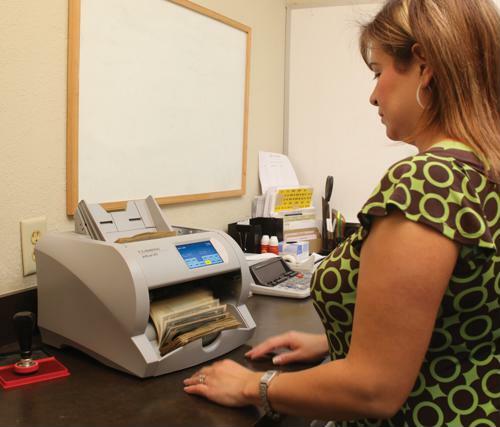 Cash counters are valuable in their place in the back office. They can quickly read and record daily sales, assess how much money is necessary to send to the bank and lay out what's necessary for employees in each shift. The machines can also perform other functions, such as counterfeit detection. These devices help reduce the amount of time required for crucial yet tedious administrative tasks. Any back office that can successfully use technology to delegate particular roles has an advantage over other businesses in that it can spend more time focusing on other matters that help it grow. Business administrators, be they owners or managers, must delegate to be efficient at all office operations. This includes the work they do in the back office, which often takes on an underappreciated level of importance. There are many required tasks that some leaders believe they need to control themselves. However, great leadership comes not from taking on everything but only the most important matters, especially those that help a company grow. In order to delegate properly, it's good for a manager to pay attention to their own specialization, according to business professional Dale Busbee in an article for LinkedIn. That means finding out what tasks are least relevant to their specialty, be it accounting or scheduling. When they find this out, delegation begins by either assigning someone on staff with better knowledge in the field, or they hire someone with the required skills. In this way, leaders have one less challenge to handle and can spend more time focusing on what they're good at. The approach to complete the job. What decisions they prefer to make over the assignee. When the employee should finish. Developing a basic delegation strategy can help owners establish control not only over their workforce but also their business model. Technology can also help with task delegation. Using money counters can mitigate the task of sorting out cash for cashier tills and record daily sales automatically. This helps owners and managers save time without worrying about accuracy or other issues.